The new CAD CAM standard regarding price-performance ratio. No programming required. Become immediately productive. Construcam-3D is an easy to use CAD-CAM program for machining plastic, wood, metal and stone in 2D or 3D. The Software calculates the control commands automatically from your graphical draft which the CNC machine applies to the workpiece when starting the machining process. 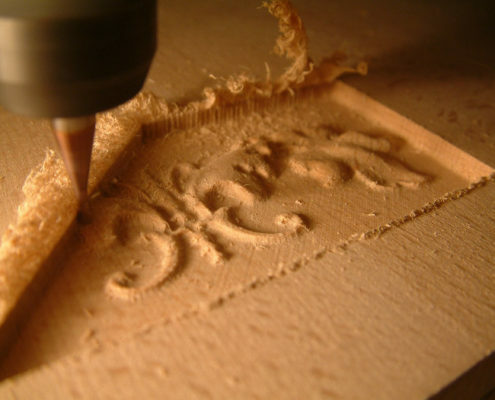 The user doesn’t need to have any programming skills to start milling or engraving instantly. ConstruCAM-3D by CNC-STEP is a programme designed by one manufacturer and with one philosophy. It is not necessary to change programmes or work in separate modules, also inconvenient ‘sending’ and ‘receiving’ between the working areas become redundant. ConstruCAM-3D works with only one unitary data file – click – and go. Every step is saved. In case of electric power outage no data loss. ConstruCAM-3D is more than just an engraving programme. It has essential features of a professional milling software to work on surfaces and even in the 3D area without squeezing money out of you. ConstruCAM-3D supports even the most inexpertly user with its many aids: Right from the beginning the start-up aid opens up. 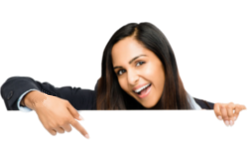 The programme has a complete, always up-to-date aid function, which is available any time with just one keystroke, even though the programme functions are active. Debugging can be carried out with that programme support, too. The menu record lists all inputs and data of your work and helps in case of unexpected effects. Thus data can be adopted from AutoCAD, CorelDRAW, ADOBE Illustrator and most CAD/CAM systems and processed by the machine. 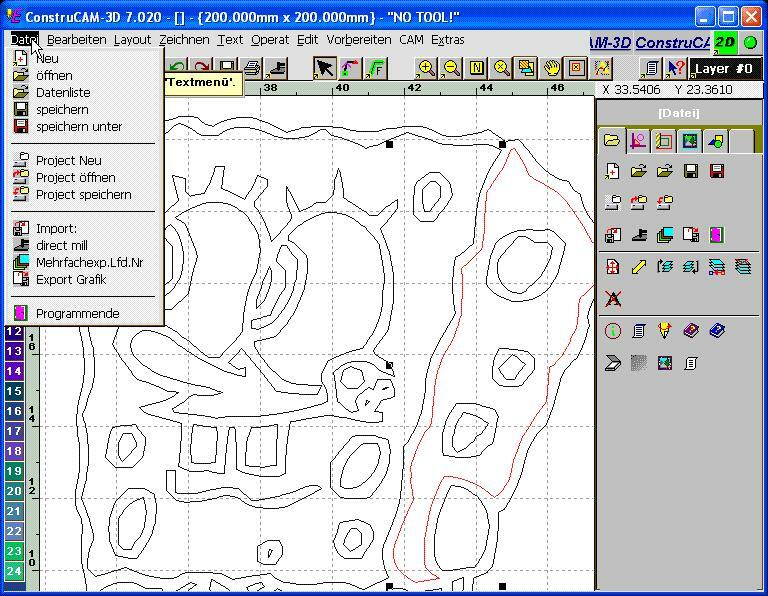 ConstrucCAM-3D has, of course, a complete CAD to generate milling paths by means of construction aids, editing, layer technique, tool administration, etc. Besides the simple drawing of lines, bows, cubic spline as well as complex elements, a complete construction aid programme is included. By means of this aid the target points can be keyed quicker and more precisely. This construction aid, when working with the drawing function, can be started by pressing the middle mouse key. The complex and fully developed operations, i.e. copying, mirroring, turning, distorting and many others, can also be applied. You can not have it any easier! 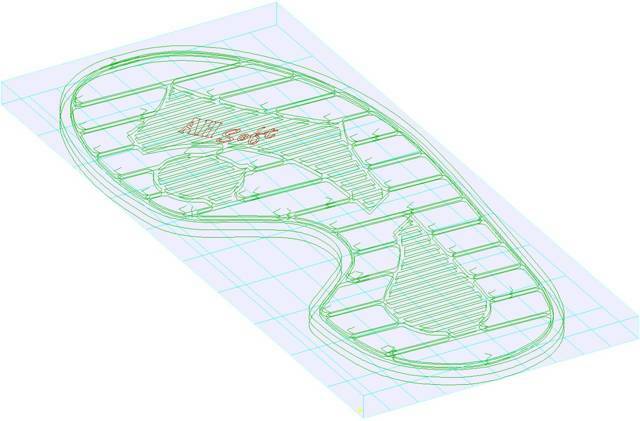 ConstruCAM-3D is also recommended for professional milling path calculation with auto correction. The use of the auto correction function makes manufacture a lot easier and more comfortable. Main application of the auto correction is the calculation of milling tracks for stamps in 3D cutting edge and forms made of correct 2D contours. 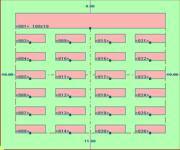 However, 2D milling offset calculations can be easily and comfortably carried out. The advantage of the auto correction function is the integrated error checking and the complete milling path calculation for several tools at once without the user’s help. The auto correction for 2D and 3D cutting edge allows a universal combination of all milling corrections. An optional data check before the calculation can be done, which unveils any error. This enables the calculation of the milling tracks for up to 10 tools with optimisation methods, linear milling in arbitrary angle, track-parallel milling with radius or diameter offset, etc. Helpful control functions support the examining of the tool paths. Several combined calculations are available. Thus you can optionally calculate for each tool either only 2D paths, only cutting edge paths, 2D & cutting edge paths or islands (corners). The auto correction function calculates 2D milling paths and 3D cutting edge paths for up to 10 tools at a time. This function requires correct, closed contours without overlapping. Tools with cone circumscribe the contour in 3D, cylindrical tools (FWi = 0°) in 2D. The calculation of the tool paths is done block by block. This leads to better milling paths and shorter calculation times. Manufacture stamps or finest cutting edge engravings on various materials (our example shows MDF, cut out with our High-Z S-720) or signs featuring an individual optic. ContruCAM-3D CAD CAM with its integrated text module allows almost any graphical text entry with serial number, harmonisation, automatic settings, superior/inferior, small capitals, etc. The programme also contains special configuration aids, which help adjusting text and graphical elements. 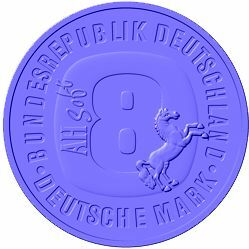 Besides common outline fonts, the programme also has single and multiple-line fonts for recessed engraving as well as DIN fonts. 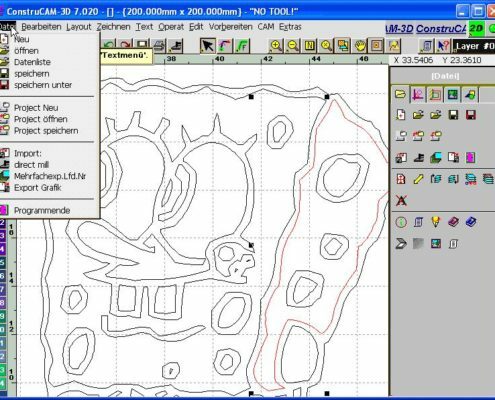 ConstruCAM-3D’s CAD CAM program for serial signs is able to produce cost-effective list and matrix signs. 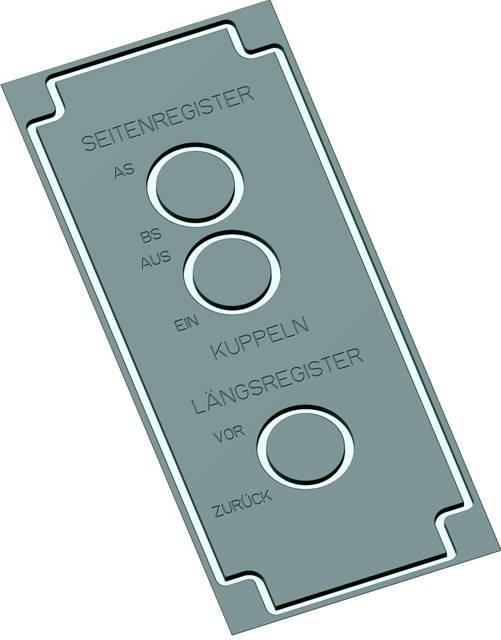 By means of these text lists (every sign has its own text and perhaps a serial number) and text stencils can be produced. 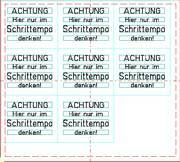 Later typesetting, if needed, can be done without any problems. Sign AutoLayout is a program used for the automatic fabrication of sign layouts for individual signs, for columns or a sign matrix. Text lines created with Sign AutoLayout can be replenished and edited by using edit line. Individual Sign. An individual sign consists of a predetermined number of horizontal text lines. Line length, space, etc. 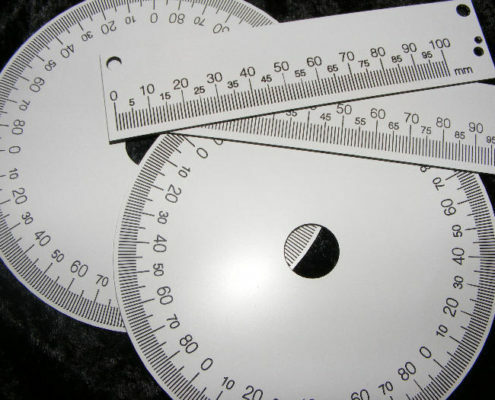 are calculated according to predestined parameters. With every entry the sign is re-calculated and graphically displayed. Columns. Columns consist of predestined numbers of columns with text lines. In addition you can appoint a header and a footer above the total size of the sign. The fragmentation of the columns is done by predestined parameters, i.e. space, number of lines etc. With every entry the column is re-calculated and graphically displayed. Matrix. A matrix is a multiple assembly of individual signs and columns. That means that before the matrix data can be entered, entries of data for individual signs and columns is needed. With every entry the matrix is re-calculated and graphically displayed. Design your own signs, sign series, individual signs in no time and without much effort thus serving your customers individually. Also 3D signs are no problem. See subject matter further below. The type sign entry – for an easier orientation – works with a graphical master in the background. The programme enables a simple assembly of the texts for existing signs. Type signs, which are to be inscribed, can be digitised during the scan process and saved in the background for an easier orientation. When entering the text, you use the master like a form and enter the text into the predestined space. 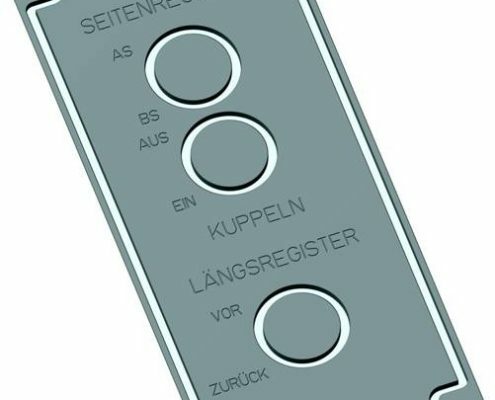 This procedure erases the measuring of individual description fields Thus the engraving can be immediately graphically controlled. The use of the navigator is carried out from top to bottom. Generally you can chose any function at any time, however, it is best to follow the suggestions of the navigator and make successive entries in the mentioned work groups. The appropriate work group is signified in black writing. In case the minimum entry of a group is fully reached, the next work group is displayed. Integrated module „Relief“ for converting into stl. files / 2D into 3D, etc. The attached module „Relief“ for Windows 32Bit is an independent CAM solution to process 3D formats of photos, STL, digital data or relief. The programme converts picture and form data into 3D relief, and within a few mouse clicks it produces high-quality milling data for almost all 3- and 4-axis working machines. A navigator navigates you step by step. The programme is flexible, not dependent on any specific machine and complete with an integrated output support for many machines. 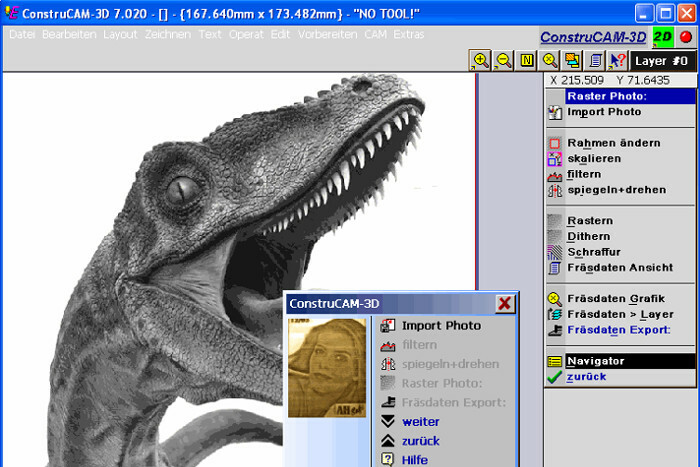 ConstrucCAM-3D CAD CAM is able to convert photos from BMP, JPG, GIF, PCX formats into reliefs. 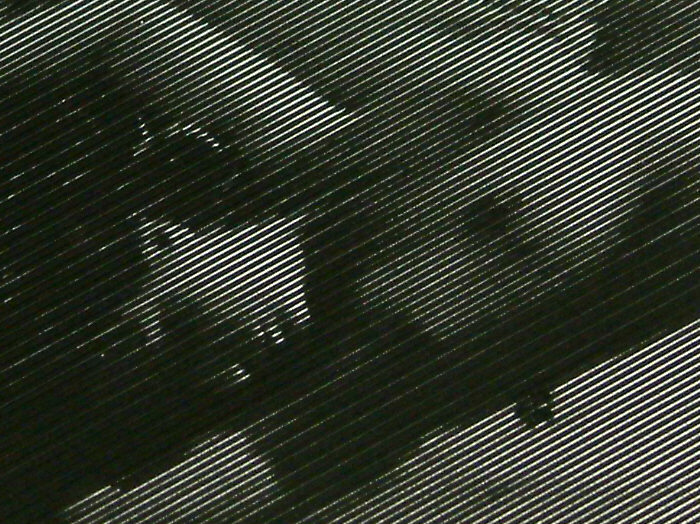 The grey scale information of each picture is transferred into 3D-coordinates. The items can be scales, turned, filtered, etc. ConstruCAM-3D CAD CAM is the only programme with an integrated milling offset calculation. Don’t get cheated by simple programmes which only convert grey scales of pictures into milling depth, or that have a simple, slow and erroneous calculation programme. Pre-milling and smoothing possible, especially for processing big components. Milling of difficult material (steel, ductile plastics, etc.) with big tool radius. No over-milling of components due to false tools. Please note that common photos cannot be made into reliefs. Especially with portraits (photos of faces) it is difficult to gain a good milling result. With light shining in from the side it is definitely impossible. Only with well-chosen photos or rather those that have been reworked by means of a photo styler, reasonably good results can be achieved. In order to cover these problems, some providers published examples with hardly any milling depth. These errors do not catch someone’s eye so easily. However, for some stylised items (i.e. 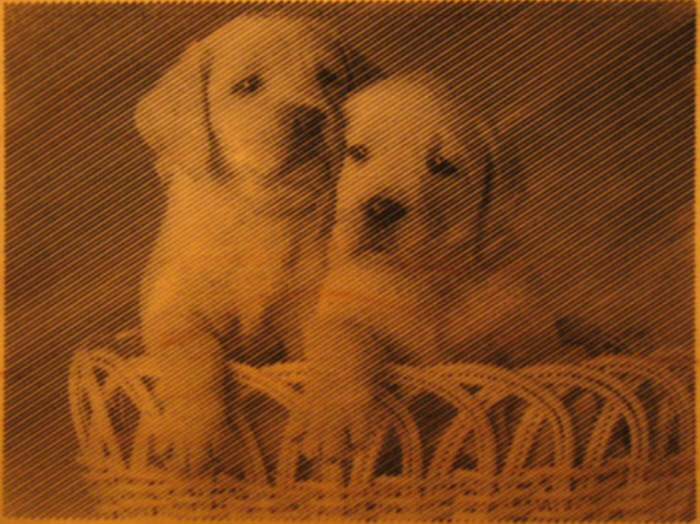 emblems) some very good results can be reached by means of photo engraving. There is no guideline for depth of i.e. the colours red and green. 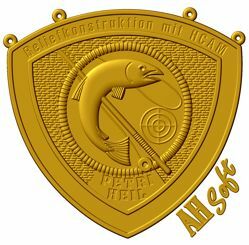 Thus at least the optical effect is displayed through the engraving. That does not mean that an experienced relief engraver would devise the emblem in that way. 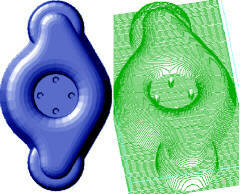 ConstruCAM-3D CAD CAM supports the two most spread 3D formats STL surfaces and DXF-3D-Face. These two formats guarantee compatibility with almost any CAD programme. After importing the data, the items can be scaled, turned, filtered.ConstruCAM-3D eliminates unwanted undercuts and filters gaps found in the data. Digital 3D forms can be read in i.e. by the wide spread formats STL + DXF-3D-Face. If desired, further formats can be inserted according to description. 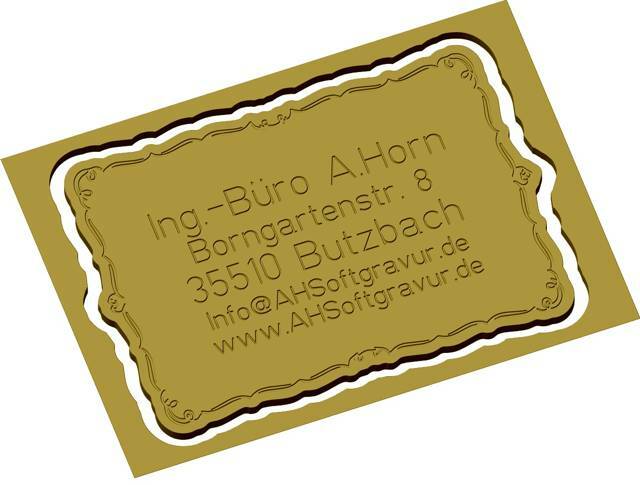 Import: photos (BMP, JPG, GIF, PCX) STL (ASCII + binary), DXF-3D-Face, relief (HRP, HRL, RLF). Filter functions incl. gap filter. Complete programme support (online aid). Tool administration and tool library with tool geometry and technology data. High-quality and fast tool offset calculation with idle definable milling paths for several tools at the same time. Definition of depth of cut by means of adjustable layer technique and 3D starting strategy. Export aid with milling repetition, export ex bench mark. The integrated milling path simulation allows to re-establish the control of NC milling data with 3D milling data view, volume view, etc. Export: DIN/ISO (free version; export only possible to WIN PCNC) / Isel-NCP / HP-GL3D /LG1. Data export via DIN/ISO export filter (more than 90 idioms included in standard delivery). 3-axis processing with almost all milling centres (DIN/ISO). 4-axis cylinder engraving with DIN/ISO. With the module „Relief“ you can also generate wonderful lithophany pictures on translucid material. Illuminated from the front, the milling results only show a relief scenery. However, if back-lighted it will reveal the full beauty of a grey scale photo. Finest structures can be seen on the engraving pictures as visible on the actual photo. Centuries ago this technique had already been used in the china manufacture, etc. 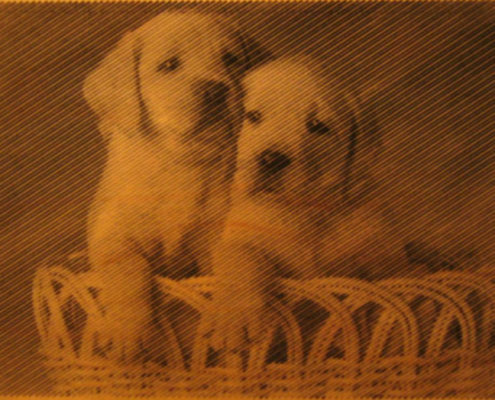 These processes were very expensive and time-consuming; today a china lithopane is hardly affordable. With ContruCAM-3D CAD CAM this can be done professionally and in high quality. Module ReliefVTR – the innovative relief construction! The very powerful relief construction VTR attached to the ConstruCAM-3D CAD CAM is working with many surface entries as well as a variety of editing and control tools. The handling of items is similar to operating with CorelDRAW. The module ReliefVTR, which offers a relief construction with the advantage of quick editing at any time, is developing to a professional tool by means of more and more experience that’s adding to the development. This provides the necessary freedom to produce artistic reliefs. We can already state that reliefs, as far as ConstruCAM-3D CAD CAM has been fed with the necessary data from beginning to end, are – compared to manual proceeding – competitive, often faster and more accurate. The development of this module again indicates clearly how important the direct contact between user and developer is. Reasonable requirements and desires are immediately developed and can be quickly put into practice. By means of ReliefVTR you can take advantage of cost-effective methods for the production of any form of 3D fonts and billboards. As a foundation you can use graphics, engraving fonts as well as outline fonds. 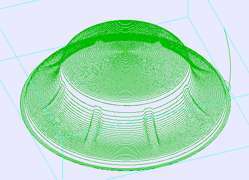 Because of the multiple relief constructions, you can compose within minutes a superior 3D paper forming punch from 2D contours. 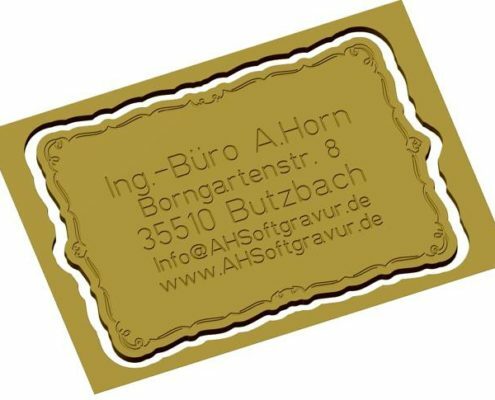 A new projection of fonts and graphics with an own reflecting surface and differing basic footprint. Both faces can either be a regular mould face or a free mould face. The projection can be done on any kind of face, with and without distortion on almost any chosen kind of milling without overlapping of the face side. The signs can be devised distortion-free unto the angle of the milling drill, even on steep shoulders. You are not very much limited in your choice of milling drills. 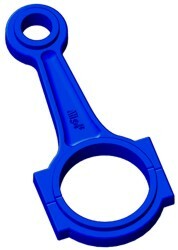 Even works with a 50-degree-tool can be done distortion-free without overlapping if the footprint allows that. The milling data compilation can be done in only a few minutes with theConstruCAM-3D CAD CAM. ConstruCAM-3D CAD CAM provides a very comfortable scale programme for linear and circle scales. The parameter entry is immediately converted into a graphic, thus enabling the user to actually see the result of his entries with every access. The scale programme does not only produce scale lines, but also arranges the scale texts in the right manner. Every scale can be saved, re-loaded and edited for any further use. 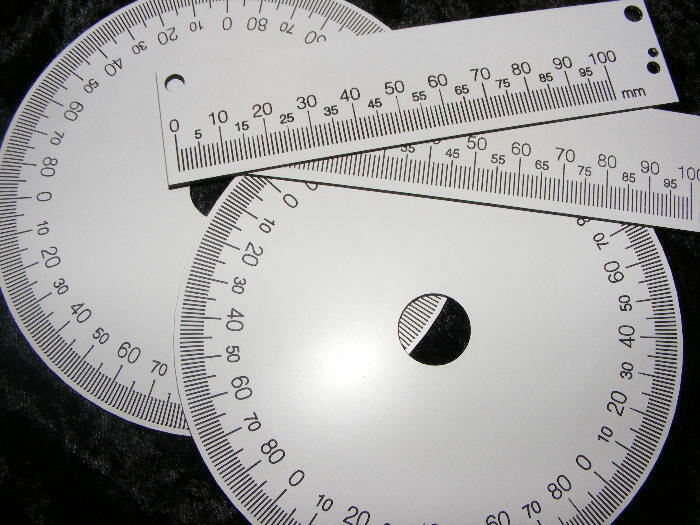 Circle scales, pitch circle scales, spacers can be individually and quickly created in only a few steps. You can simply enter into the scale programme straight and circular scales with and without lettering. 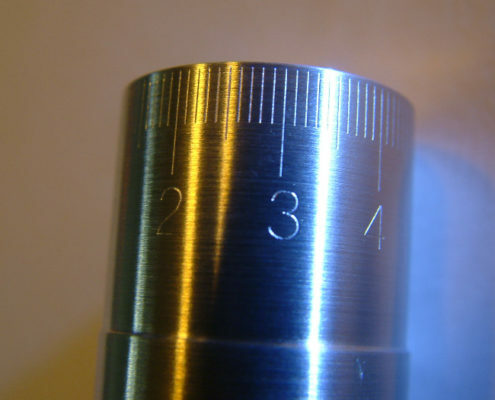 The scales can be milled on flat surfaces (flat engraving) or via the DIN/ISO export on cylinders. The scale is assigned to a layer. By means of the function accepting scale the scale will be adopted by the chosen graphic layer. The display of the sign adopts the layer-assigned tool data. The font processing with the Font Editor is used for the translation and revision of vector fonts. With the Font Editor you can not only import Type1, TrueType, LANG ZEI, LANG LZ1 and Kuhlmann fonts, but also create your own signs and complete fonts. Fonts can be individually revised and saved. 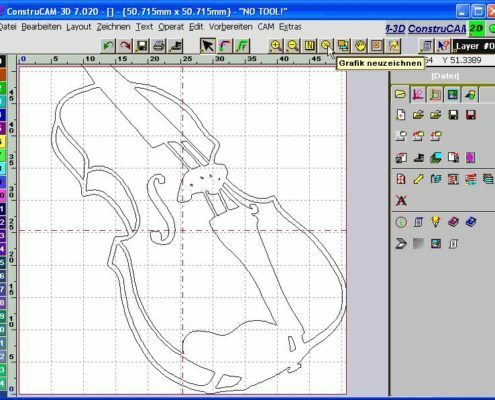 ConstruCAM-3D CAD CAM provides a great number of specially developed engraving fonts. In contrary to the abundance of outline fonts (TrueType, Type1, etc. 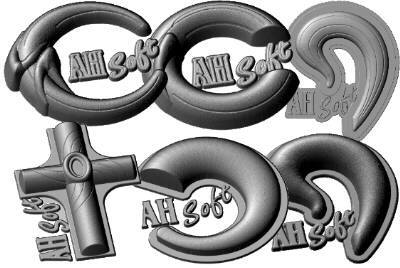 ), engraving fonts are specially designed for recessed engravings. These are either single-lined for a cost-effective and quick engraving or multi-tracked (2-, 3-, 4-track). 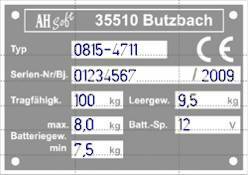 Multi-tracked fonts are necessary for vertical height (big font size) as well as for displaying fonts of flexible coat sizes. 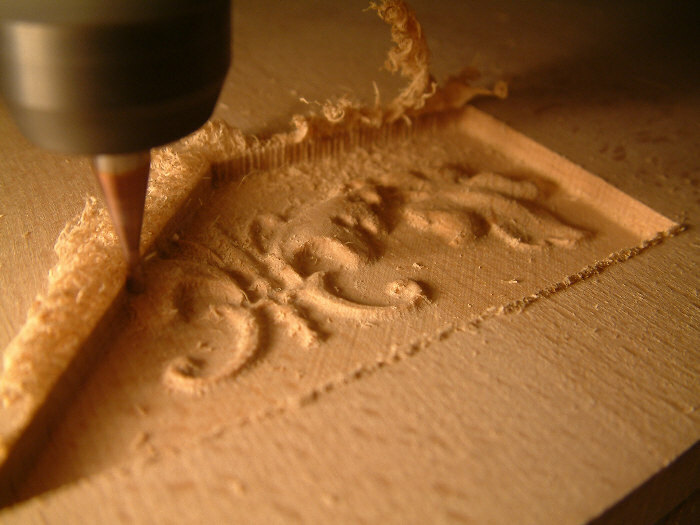 The creation of engraving fonts is very much time-consuming and can only be used by a limited clientele. This justifies the comparatively high price. However, we offer our font package at a very low price. The fonts we developed for our milling and engraving programmes can only be applied in conjunction with these programmes. The conversion to standard formats is not possible due to technical reasons. You can obtain individual fonts with the indication ‚single line’, ‚engraving font’, etc. in TrueType format on the free market. In reality these are no single line fonts, as TrueType only accepts closed contours. The Project Function / Generating data in stl. Pre-calculated 2D and 3D milling paths taken from a layer are projected on a 3D surface together with the projection. This enables recessed and raised engravings on stl forms. The engravings can be accomplished on any 3D form, relief, digital data, etc. 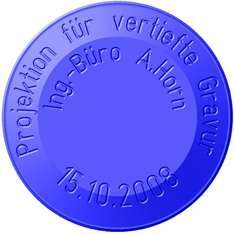 As projection surface one can use any ReliefModul adaptable data (photos, STL, digital data or relief). 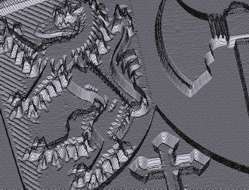 The projecting engraving paths are compiled in CAD/CAM. By means of the integrated scanner programme, pixel pictures are vectorised, which have before been digitised with a standard scanner or which uploaded in PCX, TIFF or BMP formats or downloaded from the internet. The programme provides an automatic margin search with line, circle and spline filter for smoothing. A manual pixel picture revision provides the possibility of contour revision and depositing the vectorised original contour. For any scanner programmes offered on the market it’s pretty much the same. Bad masters cannot be changed into clear engraving data by means of technical devices. 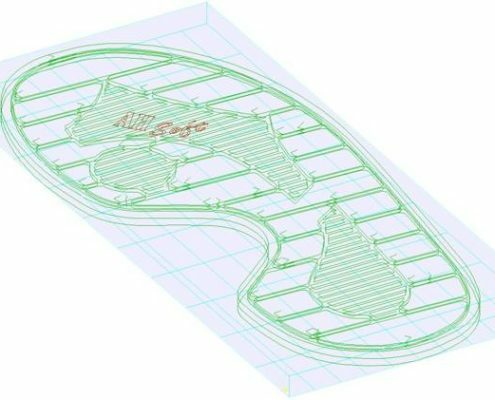 ConstruCAM-3D CAD CAM opens new paths and even allows the scanning and vectoring of construction plans accurate to size, in order to convert this data into milling tracks. With RasterPhoto (which is part of ConstrCAM-3D CAD CAM) photos are converted into punctiform milling data. This produces a rasterized picture which is similar to the pictures printed in newspapers. 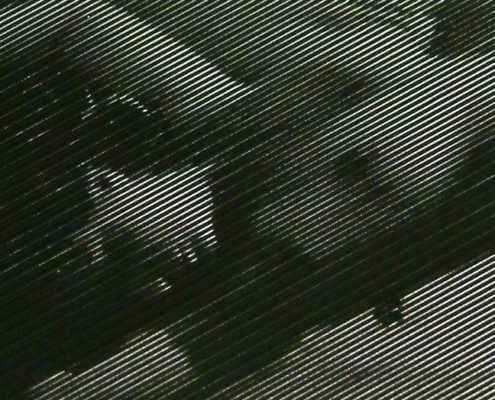 The light/dark difference (grey scale) on the photo occurs through the dots and lines with according thickness and closeness. The imported pictures can be edited, scaled, filtered, mirrored and with grids or dithers quickly converted into milling data with the RasterCut menu. The milling data can be optically controlled and if necessary the calculation can be repeated arbitrary with changed entries. A navigator and a full programme aid lead you through the processing. Import: BMP, GIF, JPG, PCX grey scale pictures. Import: JPG grey scale and coloured pictures. Export: ISO (> 80 idioms (free version only for export into WIN PCNC)) / HPGL / DXF / LG1. Very quick milling path calculation and milling data view. 3-axes processing with almost all milling centres (DIN/ISO). 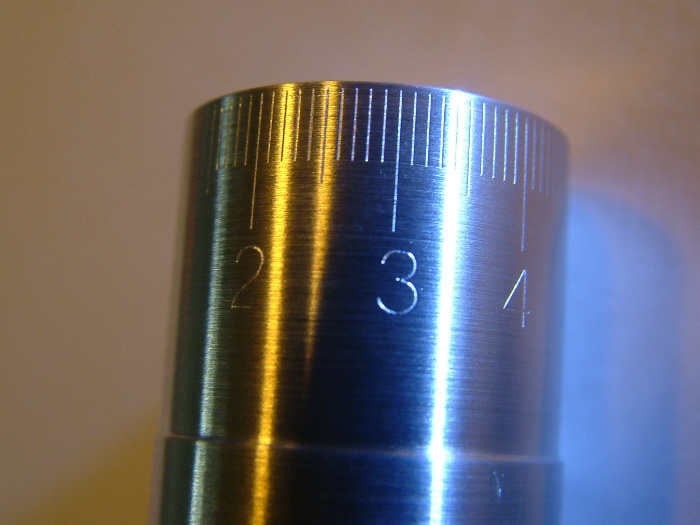 4-axes cylinder engraving via DIN/ISO. Independent from machine, shortest operation and calculation times.